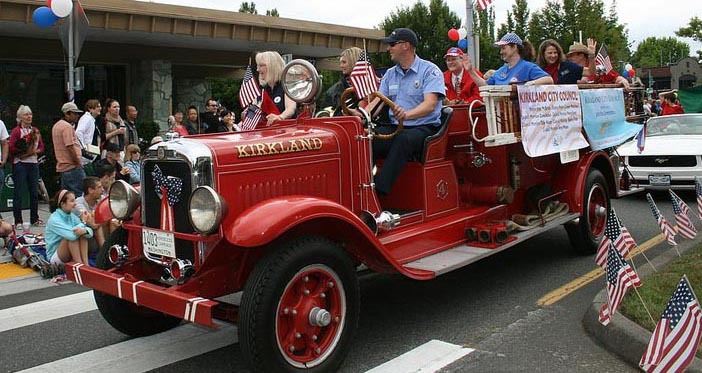 Stretching along the shores of Lake Washington, the Eastside city of Kirkland is a colorful, bustling community with all the ingredients of an urban resort. A short 20-minute trip from Seattle across the cool new 520 bridge, or an easy drive or bus ride from pretty much anywhere on the Eastside, Kirkland is chock-full of fantastic beaches, festive street spirit and great eateries. 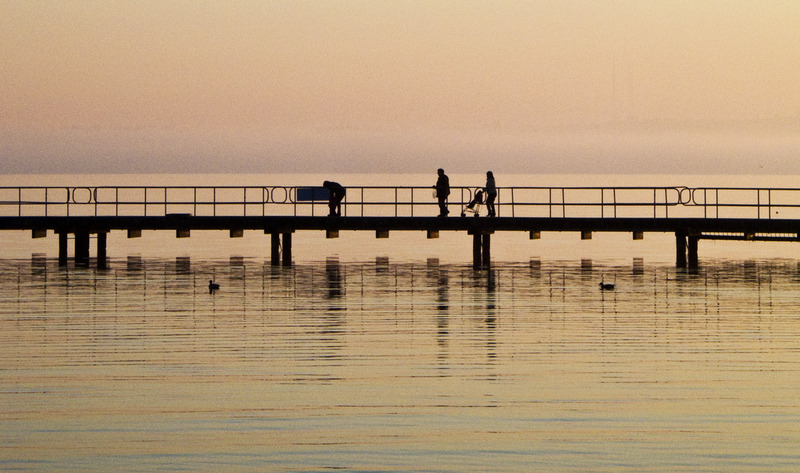 Here are our top family-friendly picks for spending a gorgeous summer day in Kirkland. 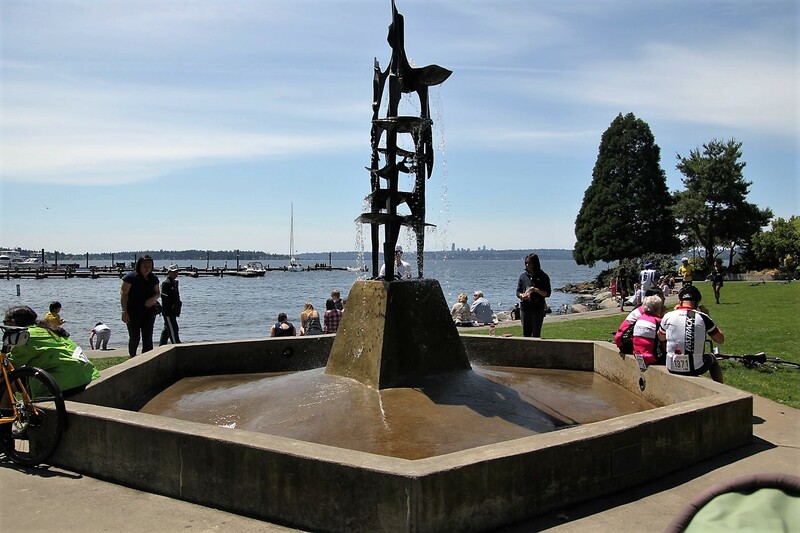 Kirkland’s spectacular waterfront is its main attraction, and the best starting spot is Marina Park, right at the edge of the vibrant downtown core. Grab some burgers to go from The Slip and stroll or chill as youngsters wade on the pebble beach. For some aqua adventuring, rent a motorboat, try stand-up paddleboarding or hop on a narrated cruise (courtesy of Argosy Cruises) around the lake. Also try: For beach-bum-style sand and splashing galore, it’s a five-minute drive or leisurely 25-minute stroll down Lake Washington Boulevard to Houghton Beach Park. Warm water and an amazing adventure-themed playground make it one of the area’s friendliest beaches for tots, while older kiddos will love the beach volleyball and board shop rentals. All that swimming works up an appetite, so hit up Kidd Valley across the street for California-style burgers and shakes. No need to sacrifice a gorgeous day to a gallery visit for cultural enrichment. Foster your kids’ creativity with a walking tour of Kirkland’s award-winning public art collection. Download the self-guided map, or get the STQRY app for an art scavenger hunt around downtown. Kids will love the adorably whimsical pieces such as a sweet pair of giant bronze bunnies on Central Way or the lively Puddle Jumpers hovering by the waterfront. 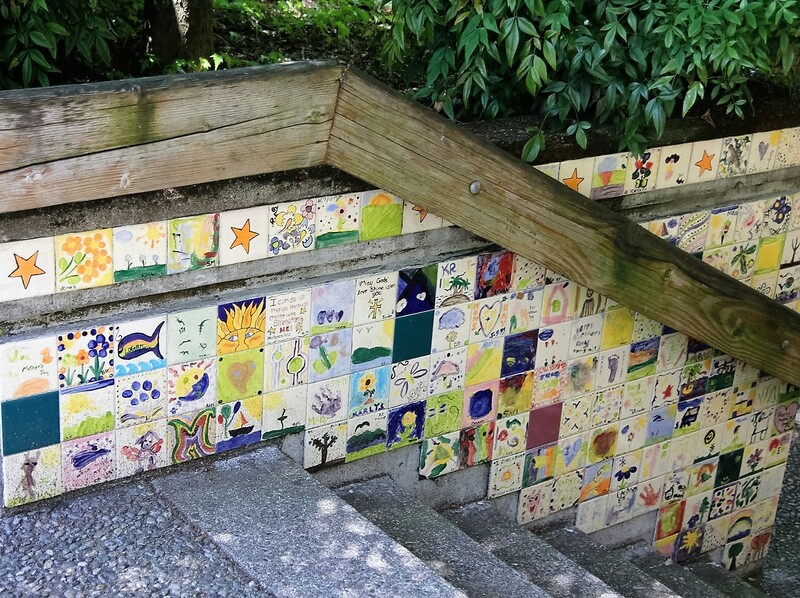 Kids can also learn how water gets processed on a colorful wall pictograph and wander around the newly renovated pedestrian-friendly Park Lane, featuring a rotating sculpture display and the Kirkland Art Walk every second Tuesday of the month, where kids can watch artists at work. Tip: Sweeten the trip with a cone from Sirena Gelato. Also try: For a more traditional gallery experience, Kirkland Arts Center features family-friendly exhibits and a variety of classes and workshops for all ages. For even more paint play, try a family day at Canvas, or drop your little artist at Al Studio Art for Friday Parents’ Night Out while you enjoy a dinner sans kiddos. Kirkland has a bounty of options for outdoor activity; the freshest pick is Cross-Kirkland Corridor, where a newly built crushed gravel trail runs from 108th Avenue N.E. to Slater Avenue, with full safety features including paved crossings, flashing beacons, sidewalks and fencing — ideal for a family walk, stroll or bike ride. Be sure to visit the paved segment between Google Campus buildings, called Feriton Spur, which includes an outdoor resistance training area, sand volleyball and basketball courts, Kompan playground and a zip line! 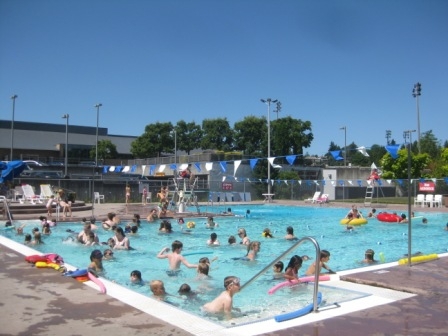 Also try: Add some splash time to your workout with a refreshing dip in Peter Kirk Pool — next to Peter Kirk Park, in downtown Kirkland. At the city center, where you’ll also find a huge play structure, sports fields and courts, a Teen Center and a skate park. Indoor playspaces conjure bright colors, ear-splitting noise levels and general mayhem — all of which can be particularly challenging for those with sensory sensitivities. But overstimulating is exactly what Roo's World of Discovery isn't. For days when summer weather isn't cooperating, Roo’s, a fairly recent addition to downtown Kirkland's play scene, offers mellow, Montessori-inspired play opportunities. Soothing natural materials, high-quality toys and activities and lots of chill space welcome kiddos from birth to age 5, with reserved hours for kids with low-sensory and special needs. Day passes ($20) or membership options are available. Afterwards, drop by Aria Bakery next door for a fresh-baked pastry or baguette sandwich. Also try: Model train enthusiasts of all ages must make a whistle stop at Eastside Trains. Just a couple of blocks away. This one-of-a-kind store is packed with all manner of train paraphernalia, moving model displays and a whole section dedicated to Thomas and various friends. Three more spots around downtown that kids love include Simplicity ABC, an independent toy store; Rocket Fizz, a soda/ candy shop; and Rococo Coffee, a family-friendly coffee shop that offers a free kids' hot cocoa or juice box with any adult purchase. Part of Kirkland’s unique charm is its combo of an urban core with spectacular natural sights. Venture a few minutes beyond downtown, and you come upon a surprising slice of green wilderness — such as the aptly named North Rose Hill Woodlands Park, tucked away unexpectedly in a quiet residential 'hood. Known as “Castle Park” among local parents, North Rose Hill boasts an incredible kid-designed playground of medieval towers, climbers and bridges that’s a destination in itself. 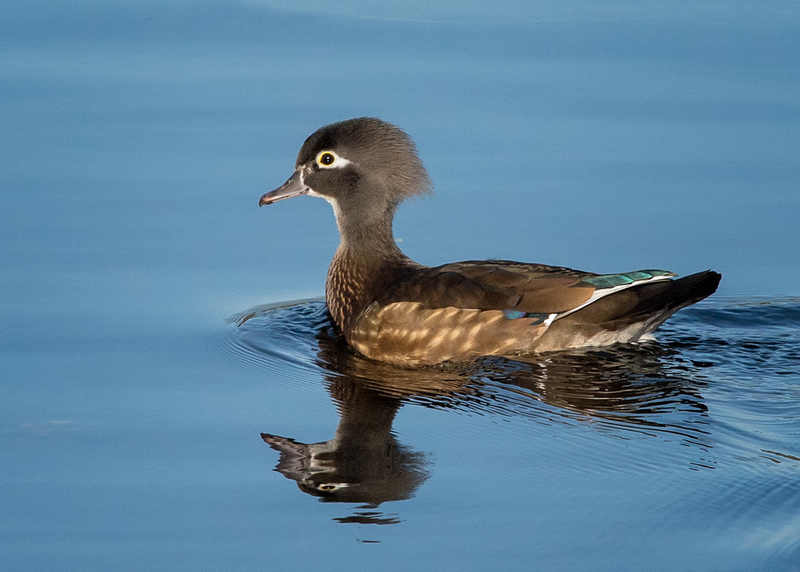 This gem is also a lovely nature preserve: Boardwalks lined with benches and interactive displays weave through dense wetlands and meadows that harbor a wealth of botanical wonders and creatures to spy, including several migrating bird species. Also try: Another amazing spot to explore nature’s sights and sounds is Juanita Bay Park, located a few minutes north of downtown Kirkland. The 144-acre preserve provides a fascinating habitat for various wildlife including waterfowl, turtles, beavers and many more. 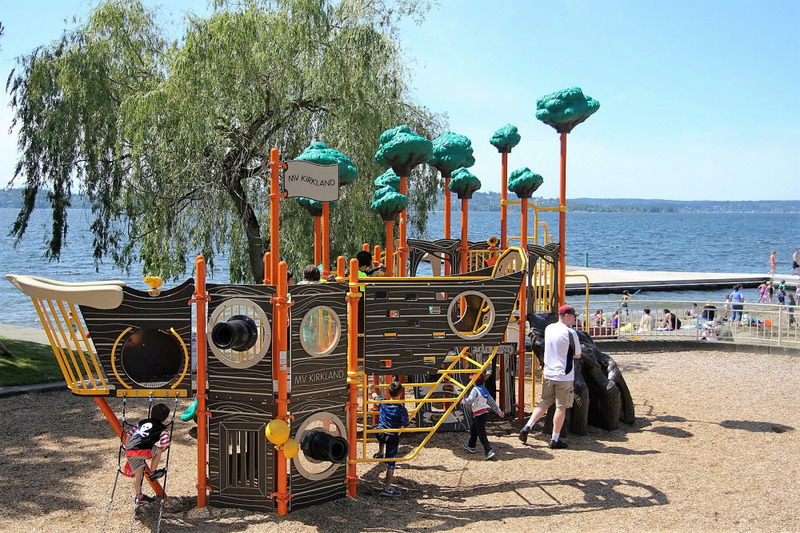 From rocking it out with Caspar Babypants to racing through a kids-only triathlon to sailing with pirates, Kirkland has no shortage of incredible seasonal events and family-friendly celebrations. Here’s a snapshot of what’s in store for this summer — refer to the city’s calendar for more! Getting there: With a major transit center and an extremely walkable city center, Kirkland is a breeze to get to by public transit from almost anywhere in Greater Seattle. Route #255 is the main connector to downtown Seattle. See King County Metro Online for more details. Park it: There are several parking lots and a garage, as well as street parking, both paid and free, around downtown. Hot-weather weekends do get quite busy, so plan accordingly! Staying connected: The city offers free wireless service throughout the downtown and some public parks, courtesy of Google — so you can sneak in some work or email time while the kids are occupied (don’t feel guilty — we’ve all done it! ).